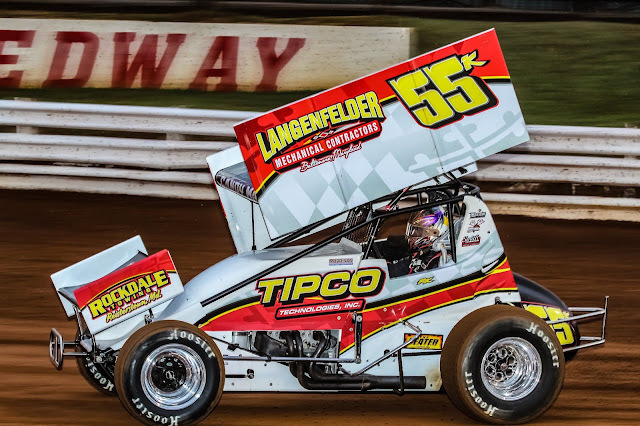 Mechanicsburg – It’s not that often that you get to see wingless sprint car racing at Williams Grove Speedway but this Friday, April 5 will be one of those times. Until the last few years, wingless racing was absent at the oval for decades but it will hit the track Friday when the USAC East wingless 360 sprints compete in the series season opener. The Williams Grove Lawrence Chevrolet 410 sprints are also on the program, racing for $4,080 to win while the USAC 360 sprints compete for $1,500 to win in a 25-lap feature event. Gates will open at 5:30 with racing slated for 7:30 pm. In just its second season of competition, the USAC East wingless sprints are looking forward to visiting Williams Grove Speedway for the first time in history. “Adding the historical Williams Grove Speedway to the list of fantastic race tracks that the series will be visiting in 2019 really gives our series a big boost towards a wonderful 2019 racing season for the USAC-EC fans and it's racing teams,” says USAC East manager Curt Michael. Steve Drevicki of Reading won the inaugural 2018 USAC East series title and will be in the field for the show. Former national USAC sprint car champion Brady Bacon of Broken Arrow, Oklahoma, has expressed his tentative plan to be in the field along with USAC East drivers Coleman Gulick, Eddie Strada, Mark Bitner and many more. Following the 410/360 sprint doubleheader on April 5 at Williams Grove Speedway, The Ollie’s Bargain Outlet All Stars Circuit of Champions Sprint Cars will invade the oval to commemorate the life and career of Tommy Hinnershitz in the annual running of the Tommy Classic on April 12. The PASS IMCA 305 sprints will join the All Stars on the April 12 racing program. The Tommy Hinnershitz Spring Classic will be part of the 2019 Hoosier Diamond Series of races at the track.